EIC Technologies, Inc., referred to as EIC, is a service contractor offering services in the environmental and industrial cleaning markets. 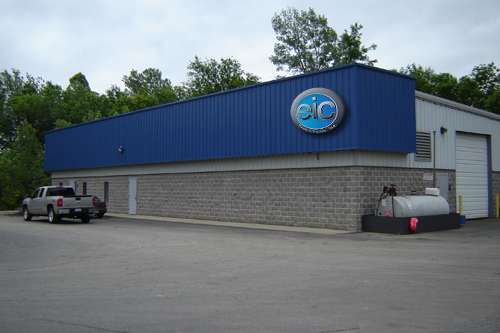 EIC offers a variety of services that focus on industrial cleaning. We provide vacuum truck services, water blasting and line jetting, tank cleaning, ice blasting, and the transportation and disposal of non-hazardous waste. Our vacuum trucks are capable of removing the heaviest of sludges and solids from industrial tanks, pits and product lines. We provide water blasting and line jetting from 3,500 PSI to 20,000 PSI and flow rates of 5 GPM to 45 GPM. Our fleet of tanker trucks can handle both large and small quantities of bulk liquid transportation. EIC's fleet of vacuum trucks include tankers, wet vacuum trucks, vacuum loaders (super vacs) and transport tankers. © 2010 EIC Technologies, Inc. All rights reserved.